Switch up your moisturisers. “During the winter your skin is usually drier because the air outside is drier and your skin needs extra hydration from a thicker moisturiser. During the summer when there is more humidity, a lighter day cream is all you need. Do bear in mind though, if you’re constantly inside and surrounded by extreme air conditioning, your skin may still dry out. Top tip: if you have a dry skin type make sure your day cream still offers you the hydration you need. All Murad moisturisers contain RepleniCell, a hydrating ingredient technology which turns the water in your cream (previously an inactive element) into an active hydrator. This means 100% of the formula is working to hydrate your skin by attracting and binding water to the skin’s surface while also strengthening the skin’s barrier helping it keep moisture in the skin. Oil-Control Mattifier SPF 15 controls oil production whilst providing essential hydration. Hydro-Dynamic Ultimate Moisture intensely hydrates and nourishes skin. Top tip: take the time to massage your cleanser into your skin for a good couple of minutes before rinsing. Also, don’t skip your night-time cleanse! You need to take the time to cleanse your skin before bed to remove all the dirt and impurities built up during the day and allow your skin the best chance to recover and repair itself overnight. 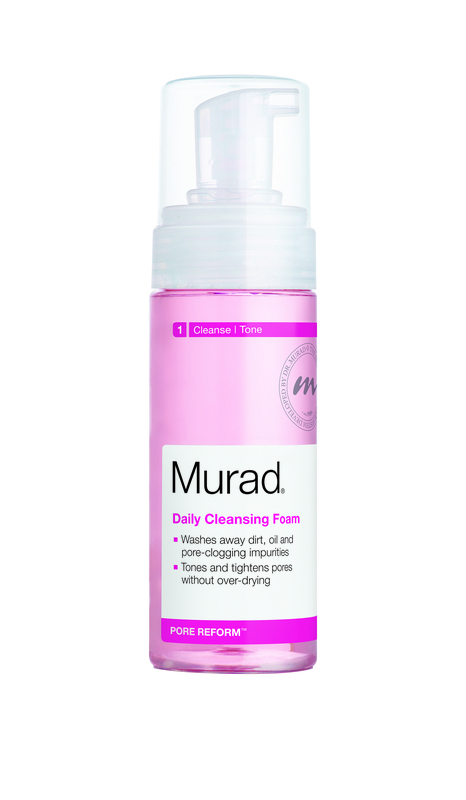 Daily Cleansing Foam cleanses and tones skin in one step! It balances and revitalises skin while removing pore-clogging impurities for smooth, clear skin. AHA/BHA Exfoliating Cleanser combines a trio of acids with Jojoba Beads to gently exfoliate away dead skin cells and improve brightness and clarity. Product recommendation: Consider taking supplements with pomegranate extract, like our Pomphenol Sunguard Dietary Supplement. Taking just one pomegranate extract supplement daily will increase your skin’s natural sun protection by up to 20% in just two months. The potent antioxidant also helps ward off free radical damage and lower your chances of sun burn and prickly heat. Skin Perfecting Primer Matte Finish provides a light veil of coverage. After the last post, we all know that Essential Fatty Acids are important for healthy, beautiful skin! They are the “good fats” that help to make our cell walls strong so that they can hold moisture in for firm, wrinkle-free, smooth skin. To help you on your way, here is a list of the top foods that can help you get enough Essential Fatty Acids for the best skin (and body) possible. 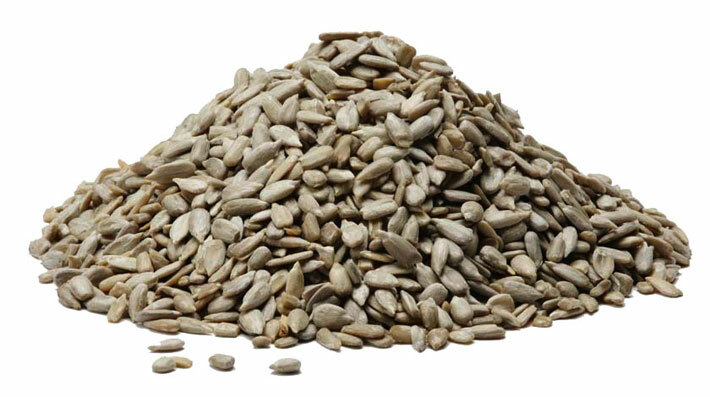 Sunflower seeds: a 28g serving of sunflower seeds provides more than 9 grams of Omega-3 Fatty Acid Alpha-Linolenic Acid. Pine nuts: sprinkle liberally on salads! They contain the same amount of Omega-3 Fatty Acid Alpha-Linolenic Acid as sunflower seeds. 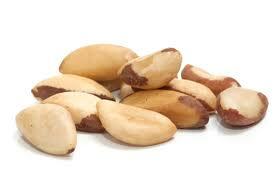 Brazil nuts: a 28g serving provides about 6 grams of the Omega-3 Fatty Acid Alpha-Linolenic Acid. Pecan nuts: a delicious addition to banana bread! They contain the same amount of Omega-3 Fatty Acid Alpha-Linolenic Acid as Brazil nuts. 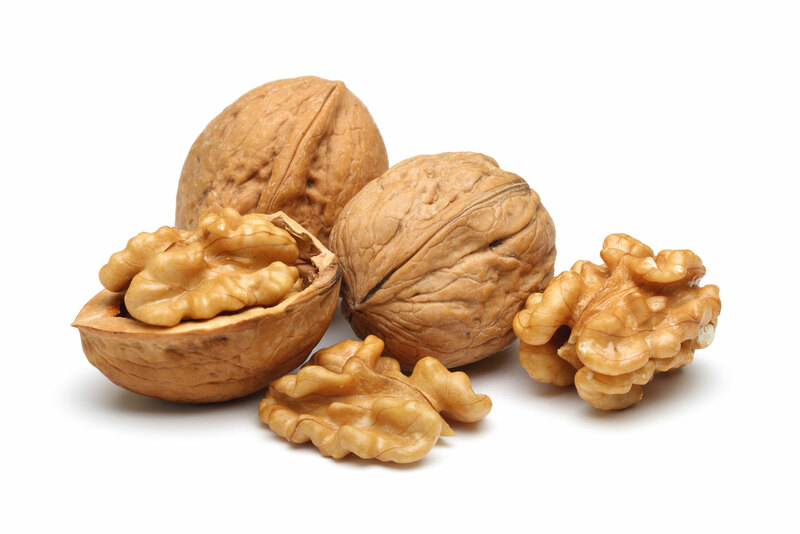 Walnuts: these not only contain the Omega-6 Fatty Acid Linoleic Acid but also provide approximately 2.6 grams of Alpha-Linolenic Acid per 28g serving. Nuts also make a great healthy snack to keep you feeling full! So when you’re feeling peckish, instead of reaching for crisps or chocolate, try turning to nuts. A tablespoon of pure flaxseed oil provides a whopping 7.3 grams of Alpha-Linolenic Acid per and 100% of the daily recommended value for Alpha-Linolenic Acid (1.6 grams). However, if you’re choosing between flaxseed oil and pure flaxseed, you may want to keep in mind that flaxseed oil doesn’t contain dietary fibre and Lingans which are key for healthy digestion. Flaxseed itself does. Top tip: If you’re looking for pure flaxseed, opt for ground flaxseed. It’s easier for your body to absorb nutrients from ground seeds. Nutritional findings taken from Mayo Clinic. Get out the grill, the pan or the baking dish and fall in love with fish. Not just any fish, though. 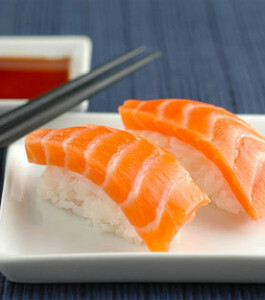 Fatty fish types contain nutrients that you’ll need and want for what’s known as Long-Chain Omega-3 Fatty Acids. The Essential Fatty Acids that convert into these Long-Chain Omega-3 Acids can be found in fatty fish and shellfish. We like herring, oysters, sardines, trout, crab, tuna and our favourite is salmon. If you aren’t a lover of fish when you were younger, try it again. Your body tends to crave what it needs for health, and as we age and need more Omega-3 Essential Fatty Acids, our body learns to crave the taste of fish more. Put down the butter and substitute with walnut, canola, soybean or mustard oil! Not only are these alternatives better for your overall health and, particularly, your cholesterol levels, but they provide 0.8 to 1.4 grams of Alpha-Linolenic Acid per serving. You can also get Linolenic Acid from safflower oil (10.1 grams per serving), sunflower, soybean or corn oil (6.9-8.9 grams per serving) or sesame oil (5.6 grams per serving). There are many reasons to avoid saturated fats like butter, palm oil or coconut oil – healthy skin is just one of them! While great skincare products give great results, truly healthy skin begins from the inside out. Make sure that your diet is rich in Essential Fatty Acids by incorporating some of the foods above into your diet. Not only will your skin look better, but you’ll also feel better.